Not long ago, I wrote a story called “What’s In Your Attic”, where I covered the full range of sneaky squatters. 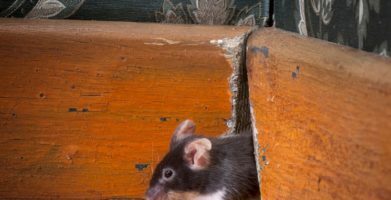 From mice to squirrels and really smart raccoons, we talked about how to detect a troublemaker in your attic — before he becomes a long-term tenant. We got such a great response, that we decided to take a closer look at some of the uninvited guests you told us you’d like to evict. Our customers spoke and we’re listening — here’s what to do when bats are driving you batty. A bat infestation in your attic poses a big threat and can be the most difficult of wildlife to remove. Often they travel solo — in search of a safe, warm place, where a mama bat can give birth. And since she can only have one baby a year, she’d prefer to be undisturbed. In a location like your attic; a single or a small family of bats can go unnoticed for awhile. If you live in a cold climate, they’ll likely leave for the winter — when they go in search of a 35-40 degree hibernation spot. But they’ll likely find their way back when the heat begins to rise — and remarkably, they’ll remember exactly how to get to your house because of their inbuilt magnetic compasses. Due to the multiplication of bats overtime you might notice them flying around the outside of your house and hear noises in your attic that you think you’re imagining. And while the squeaks and scratching sounds that they make at dusk can make you feel like you’re living in a house of horrors, those noises should actually be the least of your worries. Bats, left unattended, can cause damage to your attic and to your health. Not only will bats cause damage to insulation, wiring, and walls from chewing — they leave behind foul smelling excrement called guano. 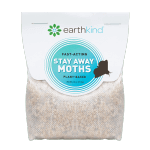 Guano piles up very quickly and can potentially cave in your ceiling under its weight. It also carries an airborne fungus that can cause a disease in humans called Histoplasmosis, which can result in a chronic lung disease. If left untreated, it can be fatal. But, the most important public health hazard associated with bats is rabies. It has been found in all 40 species of bats in the United States and most of Canada. The first step in getting rid of a bat infestation is to locate where they are entering. There is no need to pull out your Louisville Slugger and try to out bat a real bat. They are not after your blood and it is illegal to kill bats in the United States and all of Europe. 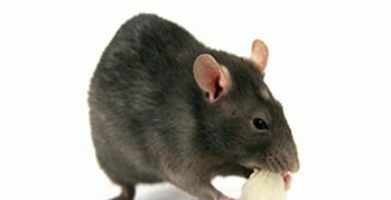 An exterminator should be your first call. They will help find the holes or cracks in your house that the bats use as their doorway and patch up any openings that may lead to the living quarters from the attic, so the bats don’t decide to cozy up in your curtains. There are several different ways in which they can go about this, but the one that I found to be the most common is to use the existing hole and turn it into a one-way opening where the bat’s only option is to go back out. This is called bat exclusion. The process is tricky and time consuming and is done at night, when the bats are out feeding on insects. Other methods used for bat extermination are trapping, repelling, and using bright lights and loud noises. Trapping is the only form that has been proven to work for an extended period of time. There is only one thing that you can do to keep bats from coming back into your house–and that’s to seal or fix the holes. 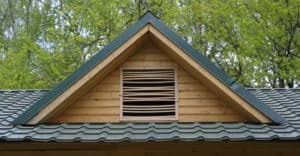 Bats can fit into an opening that’s 3/8 of an inch and most commonly find their entrances in chimneys, vents, soffits, and under roofing and siding. Holes can be sealed with wire mesh screening and adhesive or caulking. The screen will keep these predators out of your house and the adhesive and/or caulking will keep it dry and in place. Being a homeowner or looking after a property can be a full-time job with all of the extra maintenance it requires. When it comes to bats; they will choose a house based on food and water supply. Bright lights that attract bugs, such as porch and street lights, also attract bats. If you have a pool or a body of water by your house, bats will use that to drink from. Many of these scenarios aren’t in our control and can be frustrating. 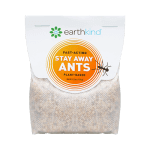 Thankfully, EarthKind is working hard to keep up with all of the “extras” that involve pests. Ridding your home and properties of unwanted guests the safe and natural way is our number one goal. 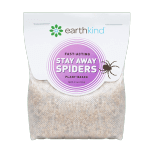 Stay tuned for more earth-friendly pest advice from EarthKind. Not long ago, I wrote a story called “What’s In Your Attic”, where I covered the full range of sneaky squatters. From mice to squirrels and really smart raccoons, we talked about how to detect a troublemaker in your attic -- before he becomes a long-term tenant. 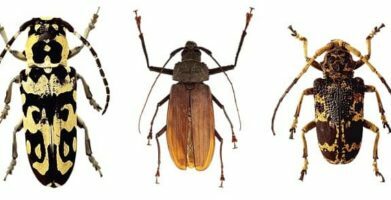 We got such a great response, that we decided to take a closer look at some of the uninvited guests you told us you’d like to evict. Our customers spoke and we’re listening -- here’s what to do when bats are driving you batty. A bat infestation in your attic poses a big threat and can be the most difficult of wildlife to remove. Often they travel solo -- in search of a safe, warm place, where a mama bat can give birth. And since she can only have one baby a year, she’d prefer to be undisturbed. In a location like your attic; a single or a small family of bats can go unnoticed for awhile. If you live in a cold climate, they’ll likely leave for the winter -- when they go in search of a 35-40 degree hibernation spot. But they’ll likely find their way back when the heat begins to rise -- and remarkably, they’ll remember exactly how to get to your house because of their inbuilt magnetic compasses. Not only will bats cause damage to insulation, wiring, and walls from chewing -- they leave behind foul smelling excrement called guano. Guano piles up very quickly and can potentially cave in your ceiling under its weight. It also carries an airborne fungus that can cause a disease in humans called Histoplasmosis, which can result in a chronic lung disease. If left untreated, it can be fatal. But, the most important public health hazard associated with bats is rabies. It has been found in all 40 species of bats in the United States and most of Canada. There is only one thing that you can do to keep bats from coming back into your house--and that’s to seal or fix the holes. Bats can fit into an opening that’s 3/8 of an inch and most commonly find their entrances in chimneys, vents, soffits, and under roofing and siding. Holes can be sealed with wire mesh screening and adhesive or caulking. The screen will keep these predators out of your house and the adhesive and/or caulking will keep it dry and in place. string(52) "Things That Go Bump In the Night: Bats in your Attic"